Collins Booksellers - ACT 36 by Ann Summers, M.A., Alexander Spare & others, 9781438068060. Buy this book online. 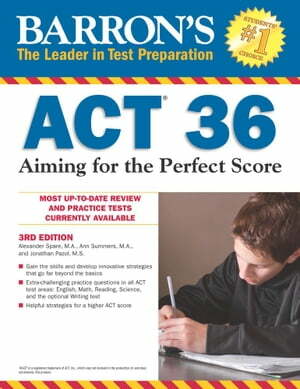 An ACT test score of 36 represents test-taking perfection. This innovative book offers tips to help students tackle the ACT’s most difficult questions, extra-challenging practice tests in all ACT test areas, special advice for boosting science scores, detailed advice on essay writing, and more.